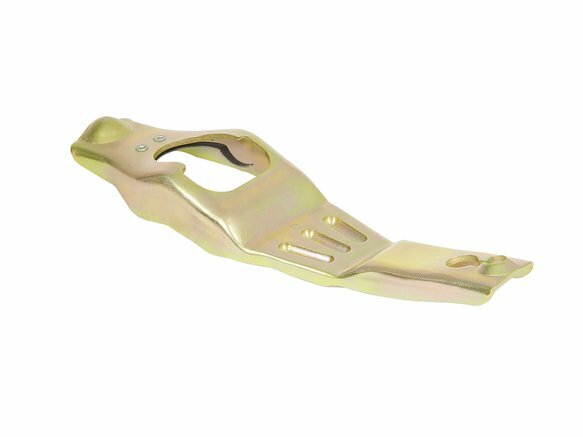 Lakewood Heavy Duty Long Style Clutch fork Zinc Plated Steel Construction for 1979-2004 Ford Mustang. NOTE: This Ford Mustang clutch fork is designed to allow adequate fork to cover clearance when installing a long style clutch into a 79-95 Mustang with 5.0L V8, and are engineered specifically for use with Lakewood safety bell-housings. Lakewood clutch forks are constructed of heavy gauge steel for additional strength to prevent flex and are recommended when installing a high performance or heavy-duty clutch. Durable zinc dichromate finish helps resist rust and corrosion.